The Center has been in Stavanger for the last couple of weeks, invited to take part in the Article 12 new media art festival. 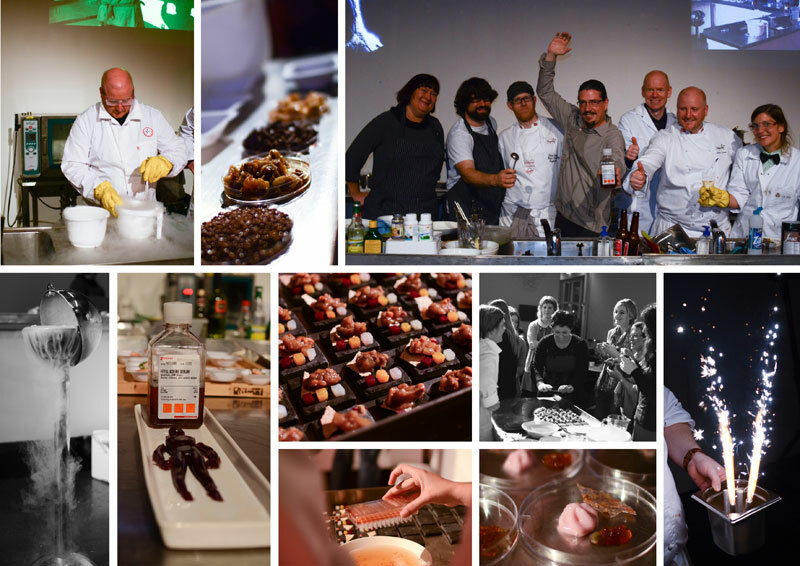 The highlight was ArtMeatFlesh – an evening hosted by SybioticA, where Genomic Gastronomers were pitted against each other in a cooking challenge. Zack was on a team with scientist Liv Torunn Mydland and chef Rune Larsen while Cat competed with the bioethisist Roger Strand and chef Atle Lura. Producing five courses each, both teams tackled the hopes and fears of future meat consumption, including the production of InVitro meat. We’ll have exact recipes and more details soon!